Do you possess Klipsch HD wireless Control Center with speakers units and missing a good Subwoofer for your home theater setup? 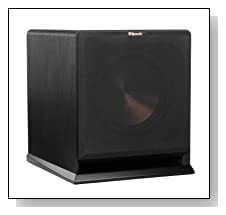 Then latest Klipsch RP-110WSW wireless subwoofer could be a right choice for you. 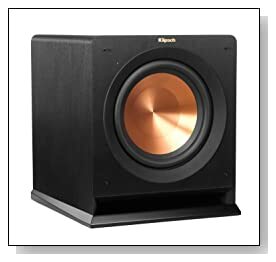 The new subwoofer from audio expert, Klipsch has many useful features to install the device hassle-free and enjoy best audio experience, without messing with wires. Here is our Klipsch RP-110WSW review to explore the new wireless subwoofer’s specifications and audio performance. 27-125 Hz frequency response. 10-Inch front firing long-thrown Cerametallic cone woofer. Bass Reflex enclosure design. High performance custom designed internal amplification system 250W continuous and 500W peak. Wireless connectivity with Klipsch HD Control console. Superior design and built-quality. Claims highly energy efficient. WiSA wireless connectivity. Not long ago, the 65-year-old company, Klipsch announced its first Reference Premiere Wireless Home Theater speakers at CES 2015. Now the latest RP-110WSW comes with added convenience of WiSA wireless connectivity (lossless wireless transmission). The device brings clean and deep bass from its 10-Inch long-throw Cerametallic™ front firing cone woofer. The model also powered with high efficiency DSP controlled amplification. The device did not product noticeable distortion even at high volumes, thanks to its rigid and least cone break design. Coming the design and construction quality of the unit, the Klipsch has done its magic again. Though it is usual rectangular box design, the model looks premium because of its superior quality material, vinyl woodgrain finish and fillet edges. Its grill is detachable; the design is in perfect sync with the brand’s ‘Copper and Black’ wireless tower speakers (RP-440WF) and bookshelf speakers (RF-140WM). The company also claim the model is highly energy efficient and consumes minimal power at standby mode. A home theater setup is incomplete without a groundbreaking, deep and clear bass. The new wireless subwoofer Klipsch RP-110WSW is the perfect addition for existing Reference Premiere HD Wireless home theater setup. The company has bridged its missing link in HD wireless product range, by launching this high-end wireless subwoofer at an affordable price. Existing Klipsch wireless home theater setup is incomplete without this sub. Grab the unit before the stock lasts and get ready to for an amazing surround sound experience.